Posted on 25, October 2016 by EuropaWire PR Editors | This entry was posted in Banks, Education, Non Profit, Society, United Kingdom and tagged 2016 Skills & Opportunities Fund, funding, Lewisham Mencap, Nick O'Shea, RBS. Bookmark the permalink. The applications have been narrowed down to a shortlist of 96. The public vote to decide which organisations will be awarded money from the second round of the Skills and Opportunities Fund in 2016 is now open. EDINBURGH, 25-Oct-2016 — /EuropaWire/ — Voting for the second round of the 2016 Skills & Opportunities Fund is open from midday on 21 October until midday on 4 November, with the winners being announced on 6 December. More than 800 not-for-profit organisations, charities, schools and colleges have applied for up to £35,000 of funding for projects aimed at helping people learn new skills, find work or start up in business. The applications have been narrowed down to a shortlist of 96. The results of the public vote will count as one vote alongside those of the judging panels from our seven regional boards who will decide which good causes receive funding. In 2015 the Skills & Opportunities Fund helped 114 not-for-profit organisations secure funding as part of an on-going commitment to help an estimated 25,000 people in disadvantaged communities. 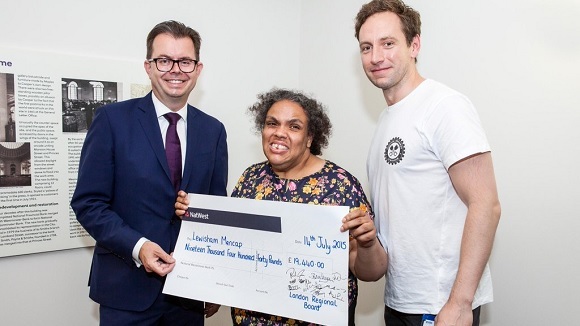 Lewisham Mencap, one of the 2015 winners, received £19,440 to get their project ‘Ignition Brewery’ off the ground. The micro-brewery provides supported employment and training for 10 people with learning disabilities in Lewisham and has begun the brewing process, with pre-sales agreed. Ignition Brewery is going from strength to strength and has even been featured on BBC World Service. The organisation also has informal plans in place to replicate the business model in Norfolk and Tyneside.